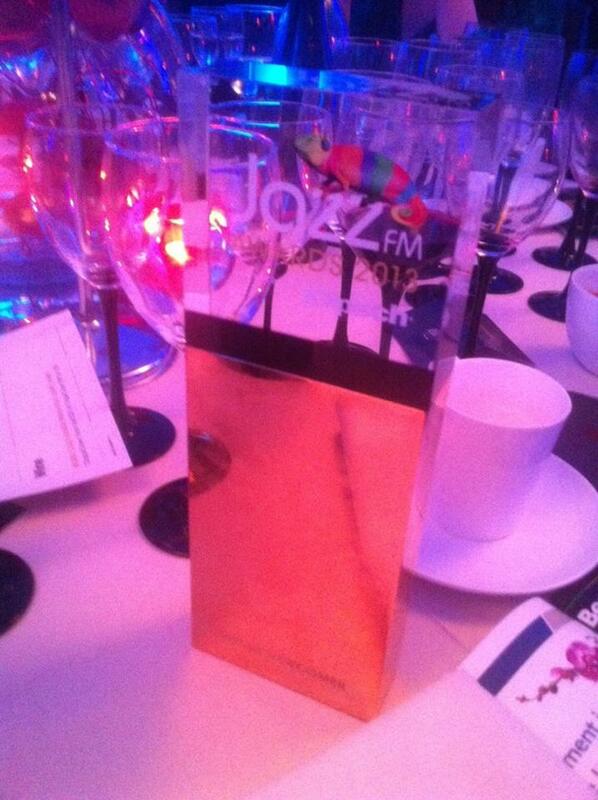 Beats & Pieces Big Band – JazzFM Best Newcomer 2013! I spent last night at the first ever Jazz FM award ceremony where Beats & Pieces Big Band were awarded with the Best Uk Newcomer prize! I was there with Ben Cottrell, the band leader of Beats & Pieces, and I think we were both pretty surprised when the name was read out. Congratulations to all the other winners, especially the fantastic Mr Nathaniel Facey who was awarded UK Instrumentalist of the Year! Also, in other news I have been doing a bit of recording recently with the fantastic band Pest – they have set themselves the challenge of releasing a new track every month in the ‘Twelve Months of Pest’. So here is February’s tune, ‘Wabsnasm‘ (always good to see a The Day Today Reference too). After sitting defunct for a long period of time, I’ve decided to convert this blog into a new website! Despite not having uploaded any transcriptions for ages, I do aim to get back on the case and get some new ones up – and I also want to use this website as a way of promoting bands I play with, gigs I’m doing, and any upcoming releases. I’ve only managed to get some of the information loaded up so far but should hopefully be able to get the rest up in the next few days! I have transcribed Louis Armstrong’s playing on two Hot 7 recordings from May 1927 – ‘Wild Man Blues’, and ‘Potato Head Blues’. I have transcribed Louis’ playing on the whole recording of each of these as it is also interesting to see what he plays in the ensemble passages. The other musicians on both recordings are Johnny Dodds (clt), John Thomas (tbn), Lil Armstrong (pno), Johnny St Cyr (gtr/bjo), Pete Briggs (tba) and Baby Dodds (dr). The addition of a tuba playing the bass line (generally on beats 1 and 3) really adds something to the ensemble, while Baby Dodds on drums doesn’t really add much except for the classic cymbal hit on beat 4 of the last bar. However, these two recordings are all about Louis, his virtuosity shining through and dominating in both tunes. ‘Wild Man Blues’ opens with a brief 8 bar ensemble passage, before Louis takes over with his solo. Throughout the solo (and Johnny Dodds’ clarinet solo after) the rhythm section play accompanying chords for two bars and then drop out leaving the soloist on their own for two bars. Louis switches seamlessly between a bluesy triplet feel and a faster double time feel (represented by the semiquavers in the transcription), gliding through different registers with ease. Despite the title, the form is not a 12 bar blues, but much of Louis’ playing has a bluesy sound to it (for example, the use of the ‘blue note’ C# in bars 14 and 26). Following Dodds’ clarinet solo an even briefer 4 bar ensemble passage ends the piece. ‘Potato Head Blues’ is also not a 12 bar blues and has a classic Dixieland feel to it. The opening melody is performed by Louis with the clarinet and trombone improvising counter melodies, up to bar 31 where a 2 bar trumpet break leads to a restrained and melodic 16 bar solo from Louis over a new set of chord changes. Dodds then solos over the chords of the initial 32 bar section, before a 4 bar banjo break sets up an explosive solo from Louis over stop time rhythmic accompaniment – this time, a chord played on the first beat of every other bar. This solo is regarded as a classic, and rightly so – Louis plays some beautifully melodic phrases coupled with exciting rhythmic ideas and complete control over his instrument. Then after 32 bars the rest of the ensemble steam in again and Louis powerfully leads everyone home in the final 16 bar section. A note about the chord symbols in the transcriptions – I have tried to write the actual chords played on the recordings as accurately as possible, although in some cases there is some ambiguity when, for example, different musicians play different chords (for example, bar 25 of ‘Potato Head Blues’ where Louis outlines a concert G7 chord the note played by the tuba is a B flat). The chord symbols are approximations of what I think I hear going on which is why they might differ from chorus to chorus. One place I had a real problem was bar 126 where there doesn’t really seem to be a consensus amongst the musicians as to what chord they are playing – in the corresponding bar of the first section it sounds like a concert E7 chord so I have put this again in brackets. SOUND – what an incredible sound, and an absolutely ridiculous vibrato! I personally can’t get a vibrato anywhere near that, but it is coming along…. Rhythm – Louis generates rhythmic interest and propulsion from the juxtaposition of short and long notes, as well as syncopation. His short notes are very short, and the long notes often tinged with vibrato (something Woody Shaw also often does). I have thinking for a while now that I really need to check out some of the older players in the jazz lineage, and where better to start than with Louis Armstrong, the father of jazz trumpet and probably the key innovator from the early days of jazz. In particular I have been listening to the recordings he made with his Hot Five and Hot Seven bands between 1925 and 1928 – these were the first Armstong made as leader, and are recognised as being the first recordings where individual improvisation and virtuosity are brought to the fore. I have transcribed two of Armstrong’s solos on Hot 5 recordings – ‘Big Butter and Egg Man from the West’ (recorded November 16 1926) and ‘Struttin’ With Some Barbeque’ (recorded December 9 1927). ‘Big Butter and Egg Man from the West’ was Louis’s first vocal recording, and was also his first chart hit in April 1927. The recording features the other members of the original Hot 5 line up – Johnny Dodds (clt), Kid Ory (tbn), Lil Armstrong (pno), and Johnny St Cyr (gtr/bjo) – and also the wailing guest vocals of May Alex. Louis’s solo still shows similarity to the melody in some places, but over a simple accompaniment of piano and banjo chords pounding on every beat his solo is extremely melodic and masterful in its simplicity. In ‘Struttin’ With Some Barbeque’, Louis solos over a stop time feel where the rhythm section play chords only on beats 2 and 4. However, the intensity and forward drive he generates is amazing – I know from personal experience how difficult it is to keep rhythmic momentum going in stripped down situations like this. This is a more virtuosic solo – Louis plays with a wider range than his solo in ‘Big Butter and Egg Man’, and in bar 15 he nails a highly tricky triplet break. The band on this recording are the same Hot 5 members mentioned above (minus May Alex). There is much more to be said about these solos – however, I am going to wait until I have transcribed a few more of Louis’s solos until I try to comment on things such as his style and development. Wow, it’s been a while since my last post……… I graduated from college last June, and since then I have been pretty busy and not really had the time or inclination to do any more transcriptions or analyses. But now the new year has arrived, I have to decided to focus once again on this blog, and also to expand the scope to transcriptions of other musicians (not that I am finished with Woody Shaw, he remains one of my favourite players and I am looking to transcribe some more of his solos soon). One trumpet player I have wanted to study in more detail is Louis Armstrong, and I have been working on several transcriptions which will be posted soon. In case anyone is interested, here is the project I submitted for my course (it is heavily based on ideas from this blog). The project was marked my the saxophonists Martin Speake and Mark Lockheart, and I was very pleased to receive a mark of 75% for it. Here is a transcription of Woody’s solo on In Case You Haven’t Heard taken from the 1976 album Little Red’s Fantasy.The chord sequence consists of 4 lydian chords a minor 3rd apart with 8 bars spent on each chord. For the first chorus of his solo, Woody trades 8s with the drums, then 4s for the second chorus before soloing continuously for the final two choruses. One interesting device Woody uses frequently is the use of the minor third over a lydian chord – for example, see bars 6, 20, 52 and 77. The sound he creates sounds in some cases more like a dominant flat9 chord based on the note a semitone lower than the root (for example, F#7 flat9 instead of G lydian). It is probable that the musicians discussed beforehand ideas to try out as when Woody starts playing notes outside the lydian scale the pianist, Ronnie Matthews, supports him with chords outside the lydian scale. Woody also uses some more familiar pentatonic language, often using the II pentatonic scale (eg. E flat pentatonic over D flat maj7#11 at bar 1). He also uses pentatonic material to venture ‘outside’ the harmony – for example, at bars 116-119 he moves swiftly between G flat pentatonic to C pentatonic, then to B pentatonic and ends with E flat pentatonic. This is a very effective passage and shows the excitement that can be generated by a musician skillfully linking together different pentatonic scales. One of the things I have found intriguing about Woody’s use of pentatonics is the way he combines different pentatonic scales together in various rhythmic groupings. There has been much written about how pentatonic scales can be used over certain chords (for example, see Jerry Bergonzi’s Pentatonics book) – however, I have recently been thinking about situations where two pentatonic scales a certain interval apart could be used. Pentatonic scales a semitone apart – This is a classic device of ‘side-stepping’, creating tension by slipping out of key with the underlying harmony before resolving back in the home key. Woody uses this idea frequently – for example, see his solo on If where the entire solo is built around the juxtaposition of the ‘inside’ B flat pentatonic scale and the ‘outside’ B pentatonic scale. Pentatonic scales a semitone apart can also be used over a V-I resolution creating a tritone substitution – for example, a D flat pentatonic can be played over a G7 chord resolving to either a C or D pentatonic over the Cmaj7 chord. Pentatonic scales a major 2nd apart – These can be played over a maj7 #11 chord, the two pentatonic scales combined actually create a lydian mode (for example, C and D pentatonic scales create C lydian mode). Pentatonic scales a minor 3rd apart – These can be used over a dominant 7th flat 9 chord – for example, the linking of C and E flat pentatonics will include all the notes of the C mixolydian mode plus an Eflat (the flat 9). The four pentatonic scales coming from the same diminished axis (eg. C, Eflat, F# and A) can also be combined together in the same way the four triads from a diminished scale can be combined over a dominant chord. Finally, switching between pentatonic scales a minor 3rd apart can be a way of playing outside, superimposing a fresh set of chords. Pentatonic scales a major 3rd apart – It was Woody’s linking of the E flat and B pentatonic scales in tunes such as What Is This Thing Called Love and Rosewood that got me thinking about how various pentatonics can be linked together. In both cases, he uses scales a major 3rd apart to leap outside the changes, possibly influenced by the Giant Steps changes of John Coltrane. He also uses common tones to link the two scales together – for example, the major 3rd of the C pentatonic becomes the root note of the E pentatonic a major 3rd up. The idea can be extended to include all pentatonic scales on the same augmented axis (eg. C, E and G#). Pentatonic scales a perfect 4th apart – Woody also uses this idea frequently as these two pentatonics combined create a very strong dominant – tonic effect, strongly outlining a tonality. Sometimes this outlined tonality fits with the underlying harmony, sometimes it doesn’t. Pentatonic scales an augmented 4th apart – These can be combined over a dominant chord, alternating between a simple, unaltered dominant sound and a heavily altered tritone substitution sound. This covers all possible combinations as pentatonic scales a perfect 5th apart have already been covered talking about those a perfect 4th apart, those a major 6th apart by those a major 3rd apart and so on. All of these combinations have their uses, and I have been practicing the ability to link scales together at will and in a variety of rhythmic groupings as Woody did. I do, however, still have a lot of work to do to get these down.